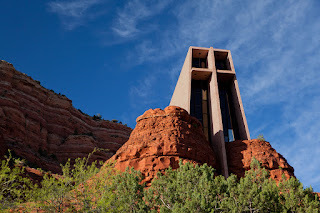 With the Labor Day Weekend only four weeks away, the Sedona Chamber of Commerce is reminding people there is still plenty of time to visit, and plenty of things to see and do. 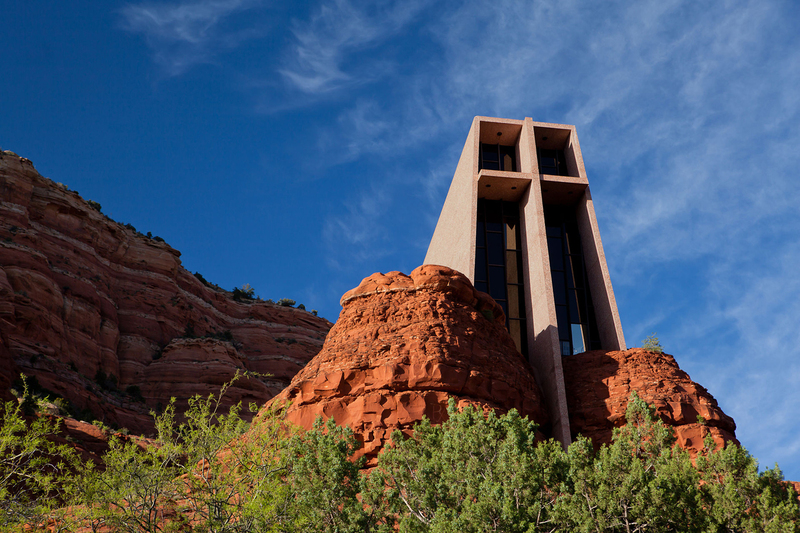 Located in Arizona’s Red Rock country about 120 miles north of Phoenix and 30 miles south of Flagstaff, Sedona is home to the famed Chapel of the Holy Cross. 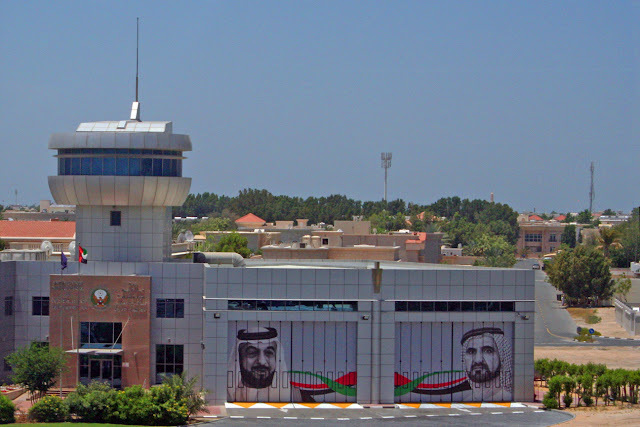 It also has thriving arts, cuisine and music scenes. Among the most popular attractions are the more than 80 shops and galleries that showcase contemporary, representational and traditional artists. The largest collection of galleries is in Uptown Sedona, with others along State Route 179 in a concentration that has become known as Gallery Row. The area has several long-standing galleries that feature the work of hundreds of artists who work in a wide range of media. These include Exposures International Gallery of Fine Art, which was established in 1996. The gallery in the Village of Oak Creek has 20,000 square feet of space displaying indoor and outdoor art including sculptures, paintings, fine art jewelry and mixed-media creations. The Gallery of Modern Masters started in 2005 with the largest collection of "modern masters" of the 20th Century including Picasso, Miro, Dali, Chagall and others. The gallery also features the work of some of the most renowned glass artists, hand-painted sculpturists and photographers of the Southwest and beyond. Mountain Trails Gallery has been offering the finest in Western painting and sculpture in a variety of styles and subject matter for 30 years. The gallery, which offers work featuring western artifacts, historical narratives and cultural objects, is located in the arts community at Tlaquepaque Arts & Crafts Village. 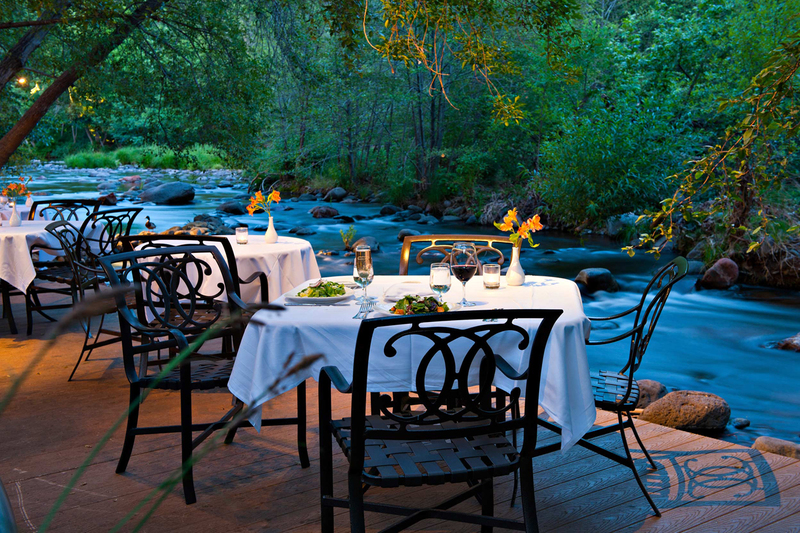 Sedona’s cuisine scene is alive and well and continues to receive national acclaim. All three of the fine dining restaurants in Sedona run by Chef Lisa Dahl were recently given the 2016 "Award of Excellence" by Wine Spectator Magazine. Wine Spectator's Restaurant Awards recognize restaurants whose wine lists offer interesting selections, are appropriate to their cuisine and appeal to a wide range of wine lovers, according to the magazine. Dahl’s restaurants include Dahl Ristorante Italiano, Cucina Rustica and Mariposa - Latin Inspired Grill. 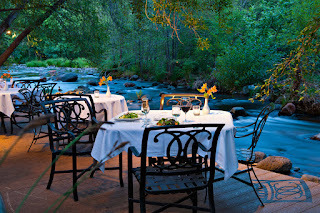 Four other Sedona restaurants were also given the Award of Excellence. They are the Cress at L’Auberge de Sedona, Rene at Tlaquepaque, The Heartline Café and Che-Ah-Chi at Enchantment Resort. Local estate winery Page Spring Cellars continues to be a popular attraction and recently added a new private event space for small to medium sized groups. The new Vineyard Deck is an outdoor space that is tucked into the heart of the property, offering a lofted view of Page Springs Cellars' landscape. 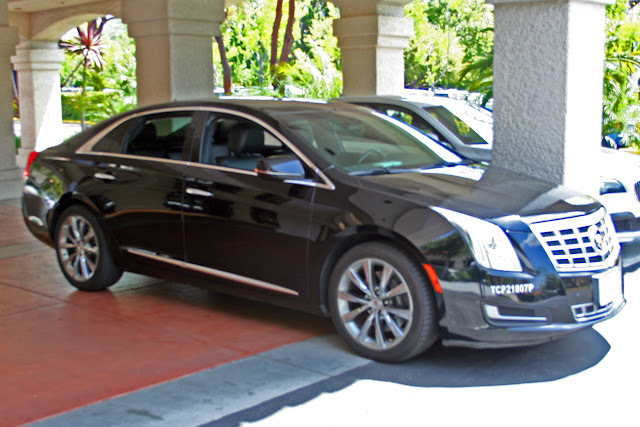 Music has long been a part of Sedona’s appeal and that continues today. L'Auberge de Sedona presents an exclusive, late night summer music series featuring exceptional musicians in live performances every Friday and Saturday night through the end of August. The lineup features incredibly talented singers, guitarists and songwriters who have played with top-tier musicians like Stevie Nicks, Carlos Santana, Taj Mahal and more. Performances begin at 8 p.m., inside the Cress Restaurant and are open to the public. The performances offer open seating and are complimentary, though guests will be able to purchase food and cocktails throughout the performances. Summer will wrap up with three special events: the Bike & Brew bike race, the Red Rocks Music Festival and the Sedona Book & Arts Festival. Hosted at the Sedona Golf Resort Aug. 27 and 28, this is the third year for Bike & Brew, the annual mountain bike race that actually takes place on a golf course. Sedona Creative Life Center will feature extraordinary chamber music featuring Dvorak masterpieces and more, performed by world acclaimed artists. At the same time, the Sedona Book & Arts Festival will offers literary, theatrical and visual arts workshops for both the novice and experienced artists alike.